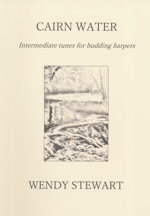 Intermediate arrangements for budding harpers Welcome to my book of middling level tunes for harp. As in my earlier book Fires at Midnight, I suggest you listen to the accompanying CD at your leisure and absorb the music before trying to play. 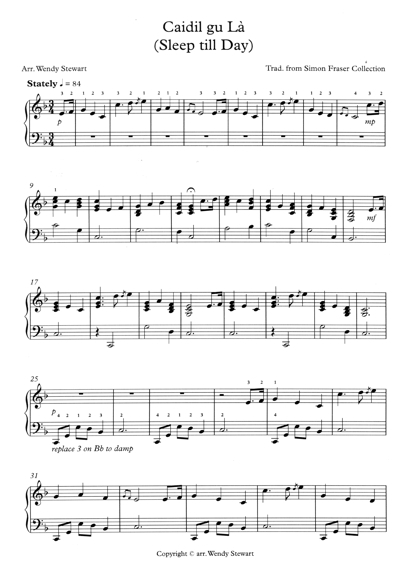 There are differing styles and chord types here plus some chord charts so feel free to make your own shapes and arrangement. I am very grateful to the composers Andy Thorburn, Phil Cunningham and Ivan Drever for letting me arrange their beautiful tunes. Do check out their own recordings and make more music! Wendy Stewart, Glencairn, Scotland.